It's time for Top 2 Tuesdayyyy! I seriously love a variety of scents. From Bath and Body Works' Japanese Cherry Blossom all the way to Burberry. I have so many that I adore, but currently, I'm wearing Juicy Couture's Viva La Juicy and I get compliments on it all the time. I also LOVE DKNY's Be Delicious! Okay, so I kind of did a Top 3 Tuesday, but I seriously could have listed about 25 of my favorites :) Ha! The juicy perfume bottle is so cute! I would leave it sitting out all the time just cause that big bow makes me smile! 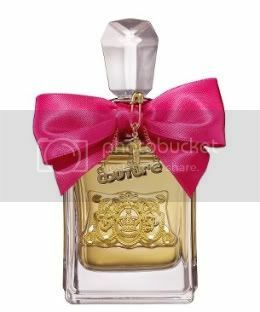 I have the juicy perfume and LOVE it. Have you tried the newest one yet? it's yum too! And I had a roommate that used to wear Be Delicious and I loved the way that smelt. 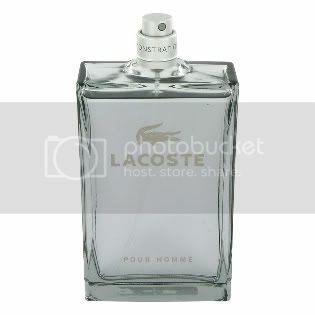 My hubby wears the red lacoste bottle. Can't get enough of that. Oh Ive got to find that juicy one! OOooh i love the DKNY! I used to have that in both the green and the red - yum! New follower, found you through leigh ashley's blog!